The magic is in the “mesh” network. 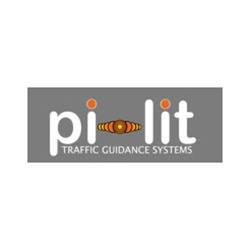 All of Pi-Lit® products utilize a 2.4 GHz radio communication system that, when configured as a mesh network, provides an easy to use, fool-proof system that eliminates the need for a “Master.” Each of the lamps in a string are equivalent. They are not numbered and any lamp can be turned on first. The network is smart enough to figure out which lamp should be number 1, then number 2, etc. Simply turn them on and they figure it out.And we are stingy with energy. Our products enjoy the longest battery life in the industry. Radio communication consumes miniscule power for milliseconds each second, and between flashes the microcomputer sleeps; the entire lamp is “off” most of the time.